A custom-fit crossmember may just be the answer for your transmission troubles. 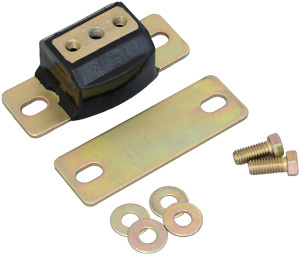 The weld-in transmission crossmember features 1-1/4" OD steel tubing with 4" offset. Actual drop height is varied by rotating the tube during installation. Billet-steel tube adapters and folded transmission-mount bracket complete the crossmember components. 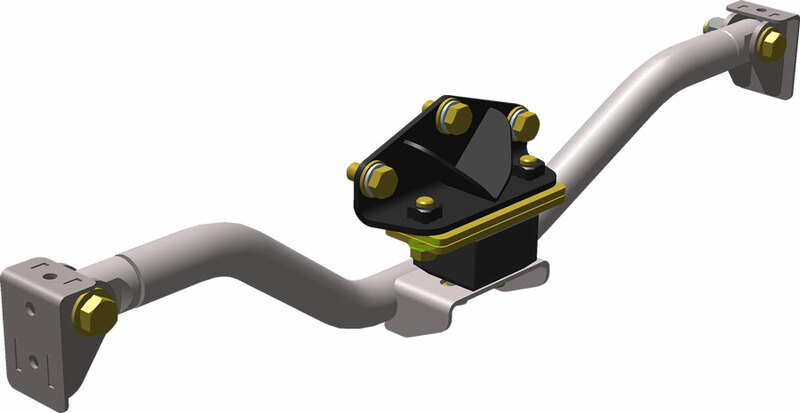 Frame brackets are sized to fit early Mustang and Cougar frame rails, but can be easily trimmed to fit other applications. Crossmember ships unassembled in bare steel. Crossmember ships as unassembled components.